The Best of RISK! 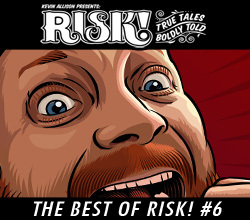 #6 | Kevin Allison Presents: RISK! Live Show & Podcast! Wanna hear out more of our favorites? Check out The Best of RISK! #1, #2, #3, #4, #5, #7, #8, #9, #10, #11, #12, #13, and #14! I wish that Badspot would tell us when he is gonna release stuff. And he sholud release stuff more often, purely on the forums, as just a mod, and not an update. That way us players would be able to try out what Badspot is working on, and maybe we could even help him. I guess that would mean making Blockland kind of an open-source project. I think that Blockland could go a lot farther a lot faster that way.